Because of this concern, I am reading what I can on this trend and what to do to reverse it. 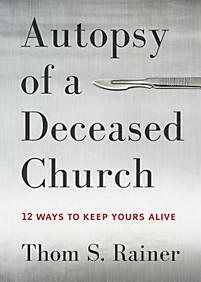 Yesterday, I read “Autopsy of a Deceased Church: 12 Ways to Keep Yours Alive” by Thom S. Rainer. This book contains the combined “autopsies” of 14 churches of various denominations in various locations. Fourteen does not make this little book a deeply researched volume, but does reveal trends. Fourteen bodies would be enough for a medical examiner to find a similar cause of death or to warn of an epidemic. The book only took about forty-five minutes to read through and I found some good advice in the final chapters. This advice was what to do to prevent your congregation (church) from dying, even if she is beginning to show symptoms of disease. Of the twelve things he shares, I share seven with you. Seven – sounds like a Biblical number. Seven, that I am looking for ways to implement in my life as a Christian and encourage you to implement as well. Seven, that I want to see the Church of Christ put into practice. Seven ways we can again be about the mission of God in Christ. Understanding that the church is simply the assembled (called out) of the world brings the realization that to make changes in a congregation starts with her members, and that means you and me. In other words, this is not what “they” need to do at the church, this is what I should do as a member of Christ’s Church. Pray! Pray that my eyes are open to the opportunities I have to reach into the community where the congregation is located. Audit Time! Take an honest audit of where I spend my time being involved. Simultaneously, take a look at the congregation where I serve and see if we are inwardly or outwardly focused as individuals and as a group. Audit Finances! Take a look at where I spend my money. Am I egocentric in my spending? Take a look at the congregation, Is the budget appropriately balanced between self-serving and outreach ministry? Serve! 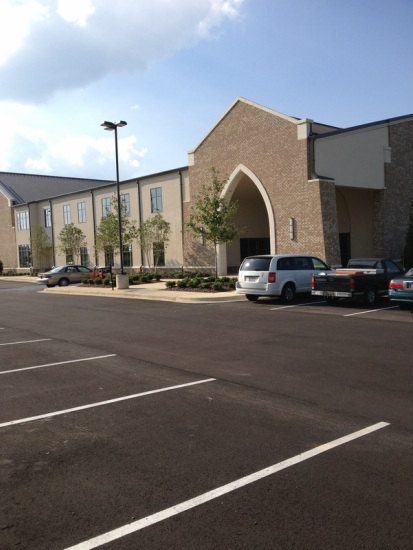 Make plans as an individual and as a congregation to serve and evangelize the community in which the building is located. Pray Again! Pray for wisdom and strength to do what is necessary to reach those in need of salvation through Christ. Change! Change what needs to change from your audits to better align you with God’s plan. Commit to actions that focus on others (other individuals and those outside the church). Excellent post Scott. Thank you for including the fact that since we are the church, we must enact these things in our own lives and not just expect the leaders of our local congregation to do them alone. I’m especially drawn to number 3. We in the church, just as we do with our own persoanl budgets, tend to meet our own needs first and then give what is left, if any, to God’s work. Giving properly means we give to the work of God first and not just serve our own budgetary needs. That may mean we need to sacrifice some of our own comfort to bring the gospel to those around us, but God promises to take care of our needs when we put him first. Keep up your good work for the Lord. Joe, thanks for being a regular reader and for your insightful comment. I wish I could claim originality with these,, but Thom Rainer gets the credit for seeding the thought.